I first came across Dowsing and Reynolds at Clerkenwell Design Week and was immediately drawn to the black and brass finishes out of the corner of my eye. The hype is still very real with black and brass and I think it is staying put for a while, especially black finishes. After researching them further after I got back from the show I found they had a really interesting back story. They were born from their creator’s (James Dowsing-Reynolds) love of concrete sculptures and vintage light bulbs. Today they are run by James and his wife Ally and have won awards for their online service. It is clear they put a lot of passion, care and attention into what they do. Which is exactly what you want from a supplier! With this in mind I wanted to share this fab company with you all. I love their products and I think they are really affordable for the finishes and quality they offer. Here is a quick glimpse of their switches range. Dowsing and Reynolds offer a range of different finishing options including black, white, silver, gold, smoked gold and copper so there is definitely something for everyone. Not only that, but with their switch plates you can choose from a rocker, toggle and dimmer. 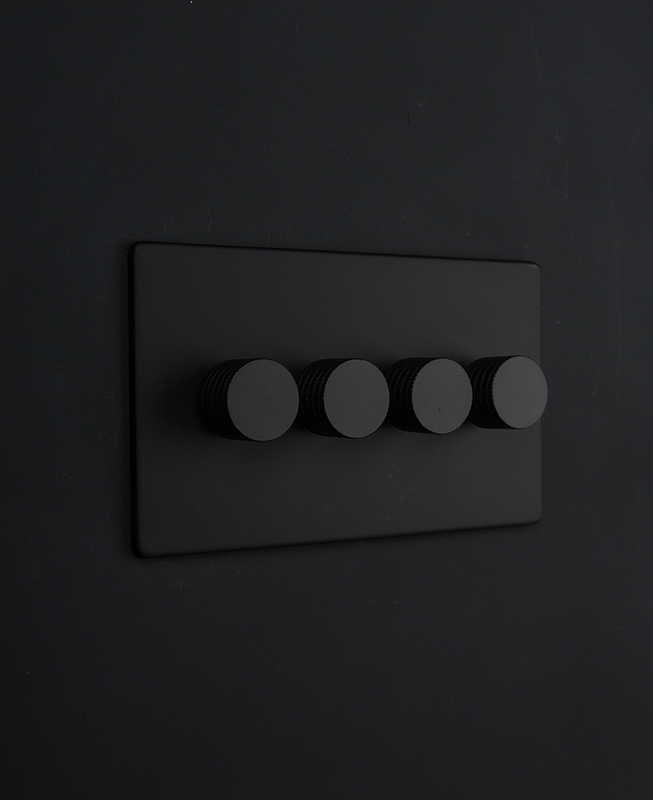 We are actually using, surprise surprise, the black dimmer switches for a project we are designing at the moment. It is a 1960s house and I loved the texture dimmer switch and felt it gave a great retro feel that the client loves. 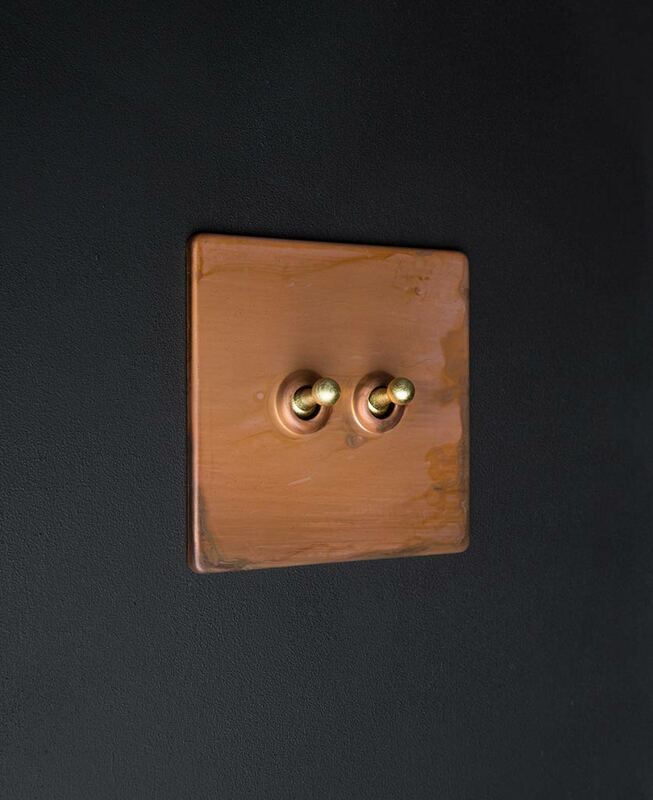 We went all black for this project as it just suits this particular scheme but I am a sucker for the brass dimmer switch and will be installing these little beauties in my own home later this year! Now when you think of white sockets and switches you might think, “Really? Can we not try and find something more unique?” However the Dowsing and Reynolds switches are not just your basic white switch, they are on a whole other level. You have the choice of white, black, gold and silver finishes for the switch as well a choosing its style, dimmer, toggle etc. It completely transforms our idea of the white switch plate. When you factor in the slightly curved edges and beautiful matt finish, there really is no comparison from the old school white switches. Even just the white on white look is a classic but a modern day classic! Can you think of anything more satisfying than a toggle switch…. I think not! I honestly love that tactile element to the sockets and Dowsing and Reynolds have produced the ultimate toggle switch that I think is extremely satisfying with a somewhat addictive on/off action. This style is definitely bringing the retro feel into the 21st century and would be great in any scheme from a warehouse vibe to a Victorian terrace, the options are endless.. I do love this toggle in the copper finish; it gives me industrial vibes with an element of softness. Last but not least you have the classic rocker switch which is probably most familiar. This option in the smoked gold is so glamorous. I can envisage this adorning the wall of a fabulous house in Monte Carlo! With its matt brass plate and swirling hues of grey and charcoal this switch is definitely a statement and one to remember. If you are one to stand out in the crowd then this finish is calling your name.